Fans of "The Walking Dead" can breathe a sigh of relief. 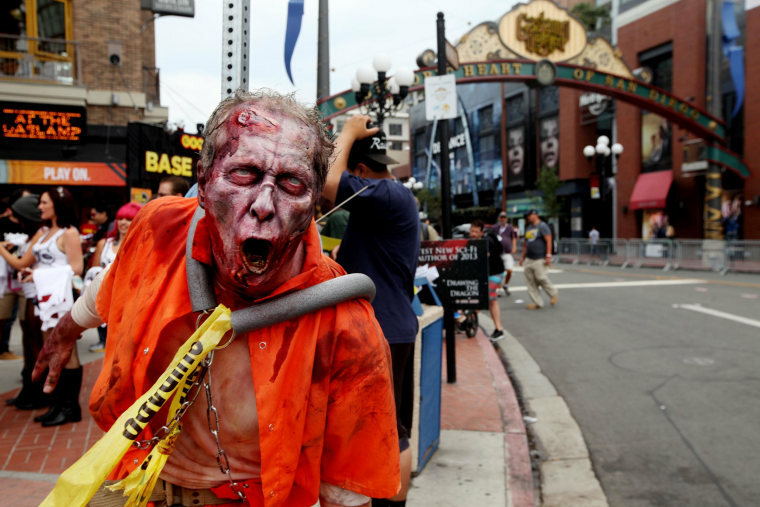 The U.S. federal government has a contingency plan in the unlikely event zombies were to overrun the country. Without a hint of irony, DoD calls the plan "Counter-Zombie Dominance," and added in the disclaimer section that "this plan was not actually designed as a joke." The "worst case threat scenario," according to the plan, would be high "transmissibility," —legions of the undead infecting humans rapidly, with little way to counter rapidly multiplying hordes of zombies. According to Foreign Policy, military strategists assigned to Omaha's U.S. Strategic Command wrote the document in April 2011, as part of game plan to protect citizens against any kind of threat. "Planners ... realized that training examples for plans must accommodate the political fallout that occurs if the general public mistakenly believes that a fictional training scenario is actually a real plan," the plan's authors wrote.